Richard Gillespie is Emeritus Professor in Politics at the University of Liverpool. Before moving to a chair there in 2000, he had held posts at the Universities of Newcastle-upon-Tyne, Oxford, Warwick and Portsmouth. 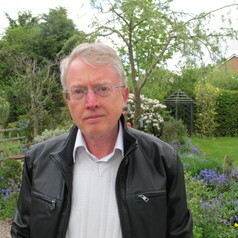 He created the Routledge journal Mediterranean Politics in 1996 and was editor or co-editor for the next twenty years. In 2001 he founded the Europe and the World Centre at the University of Liverpool, which became recognised as a Jean Monnet Centre of Excellence. An interest in nationalist movements began with doctoral research on Peronism in Argentina, resulting in a thesis on 'The Peronist Left' and a book on the Montoneros, whose Spanish editions later became best-sellers. Subsequently his interests migrated from Latin America to Spain, the subject of subsequent monographs on factionalism within the Spanish Socialist Party (PSOE) and on Spain's external relations. While this interest in Spain expanded eventually to projects on Euro-Mediterranean relations, it also brought a growing interest in the evolution of Catalan and Basque nationalism in the post-Franco period and the eventual disputes over sovereignty. He is currently writing a book on the rise of the alternative left in Barcelona and its significance for the independence movement in Catalonia.